The government is moving towards appointing a Digital Safety Commissioner. 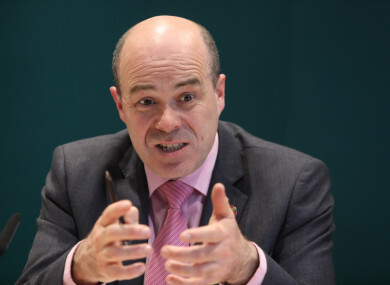 MINISTER FOR COMMUNICATIONS Denis Naughten has defended the decision made by the government to set a digital age of consent at 13, saying that banning under 18s from the internet isn’t practical. Speaking on RTÉ Radio One’s Today with Sean O’Rourke, presented by Richard Curren, Naughten said that the government is moving towards appointing a Digital Safety Commissioner. Doubts were raised by Taoiseach Leo Varadkar before Christmas when he suggested that a commissioner was not the correct solution to internet safety. However, an upcoming forum on the matter has been backed by Varadkar and Minister for Children Katherine Zappone. Naughten warned that legislation cannot keep pace with changes on the internet. However, he said that there are practical steps that can be taken to protect children online, adding that he believed that the industry was committed to driving the types of changes that are needed. He said that it is important to put a broad spectrum of protections in place that would automatically be built into new apps and websites. “Technology is changing and we need to look at the most innovative tools that can protect children today so that they can fully exploit the internet,” Naughten said. Curren hit back at Naughten and told him that the issue is more about children being exploited by the internet rather than children exploiting it. “The people who want to exploit children will use all of the tools that are available on the internet, will use new and changing tools that are being developed,” Naughten responded. Curren also pressed Naughten on the government’s decision to set the digital age of consent at 13. Naughten said that banning under 18s from the internet just isn’t practical. “It’s not about age limits. The idea that you would ban anyone under 18 years of age, or under 16 years of age, from using the internet altogether when it is a very useful educational tool, I think is not the way to go either,” he said. Email “Denis Naughten says banning children from the internet 'isn't practical'”. Feedback on “Denis Naughten says banning children from the internet 'isn't practical'”.